Elfor has ported some custom skies from Duke Nukem to Kingpin for use by mappers. You can download the new skies from here. elfor has released more custom crosshairs for Kingpin in a zipfile called triplecross. 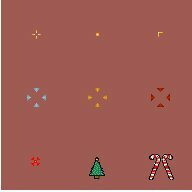 There are three different sets of crosshairs and each set has three different crosshairs. There are two screenshots included which show the different sets of crosshairs. It probably easiest to just extract/unzip the files to a temp folder somewhere and decide which set you want to use then just copy and paste the relevant pak file to your Kingpin/main folder. You can download the triplecross crosshairs from here. 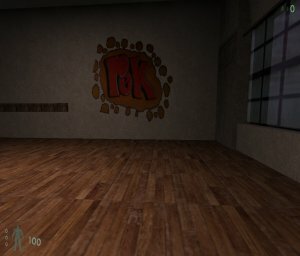 The Roarke twins have released another new texture pack for mappers that contains 31 graffiti style textures. You can download the Graffiti Pack 2 from here.